A Memorable Road Trip Through the American South. 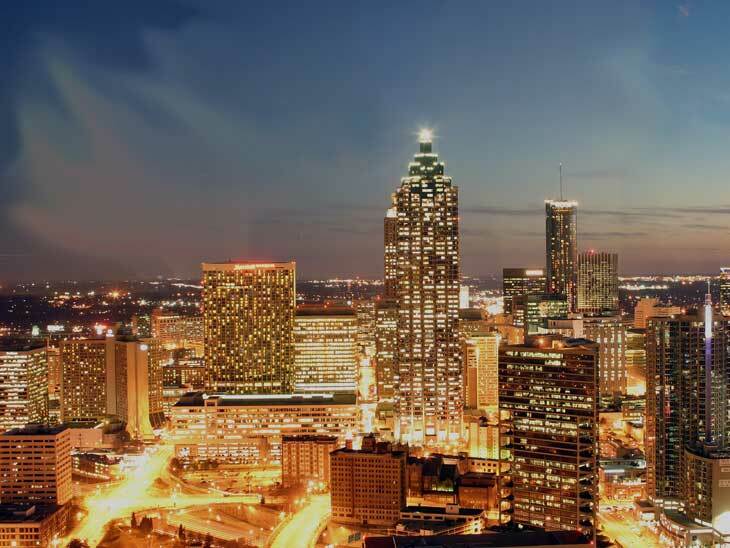 Fly in to Atlanta, pick up your car and head for your hotel in central Atlanta for check-in. Those of us who has flown in from Europe are probably a jetlagged and happy with a walk, a nice meal and then off to bed. Take the day to explore everything Atlanta has to offer. You can visit Sweet Auburn and travel back in time to the 1960´s when civil rights movement was headquartered in Atlanta. 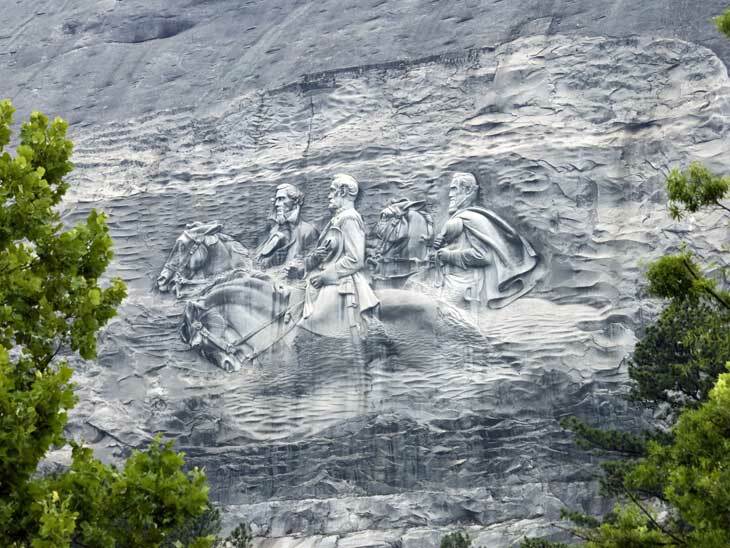 Just outside Atlanta you have Stone Mountain Park where you have the famous giant stone cuttings of Robert E. Lee, Stonewall Jackson and president Jefferson Davis. You can also hike to the top of Stone Mountain. If you want to go driving, you should get your hands on a sporty car and drive the Appalachian Foothills Parkway. This drive is considered as one of “the most exhilarating drives in Georgia” by thrillist.com. 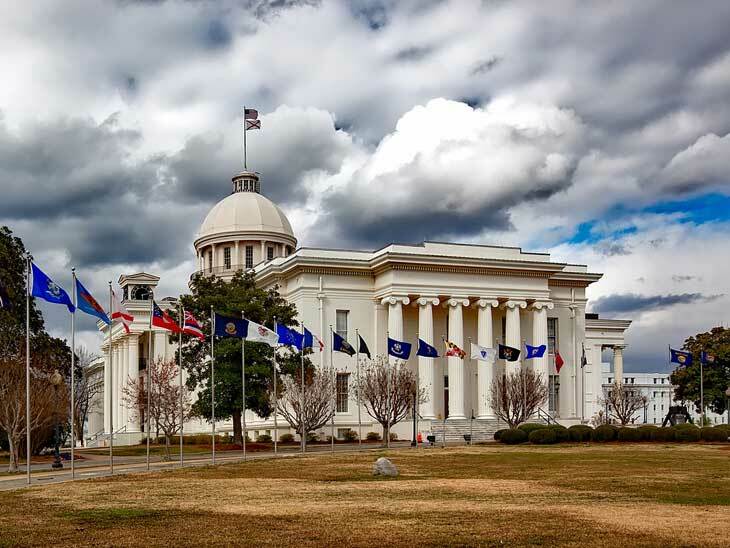 Leave Atlanta in the morning and head for Montgomery which is the capital of Alabama. Here you will enjoy Old Alabama Town which is a cozy and authentic community with buildings from the 19th and 20th century. The open air museum in Old Alabama Town will teach you what rural life looked like back in the days. I also think you should visit President Jefferson Davis beautiful home The First White House of the Confederacy which has its original décor intact. Driving distance: approximately 260 km. A little detour but definitely worth it. 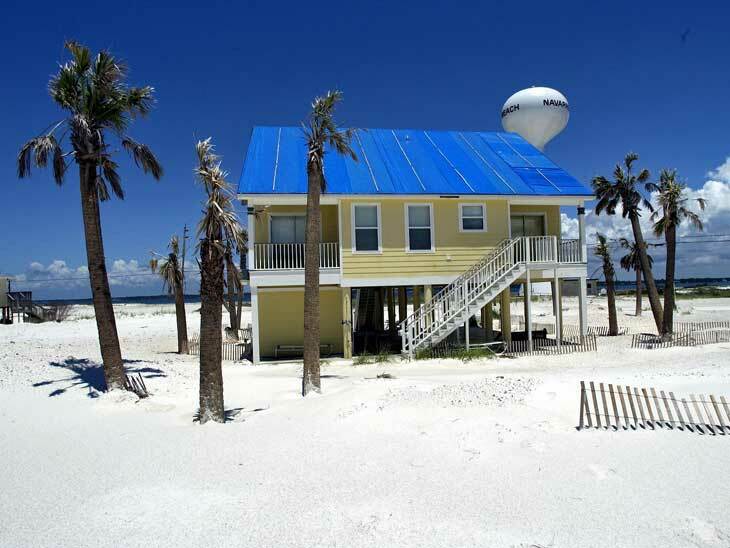 Here you can enjoy the white, sandy beaches of Florida and visit Seville Historic District. The first European settlers arrived in the middle of the 16th century and has been besieged by The French, The Brits and The Spanish. Driving distance: approximately 270 km. On the way to New Orleans do a stop in Mobile, Alabama. The city was founded by the French 300 years ago and is an elegant combination of Europe and Southern charm. 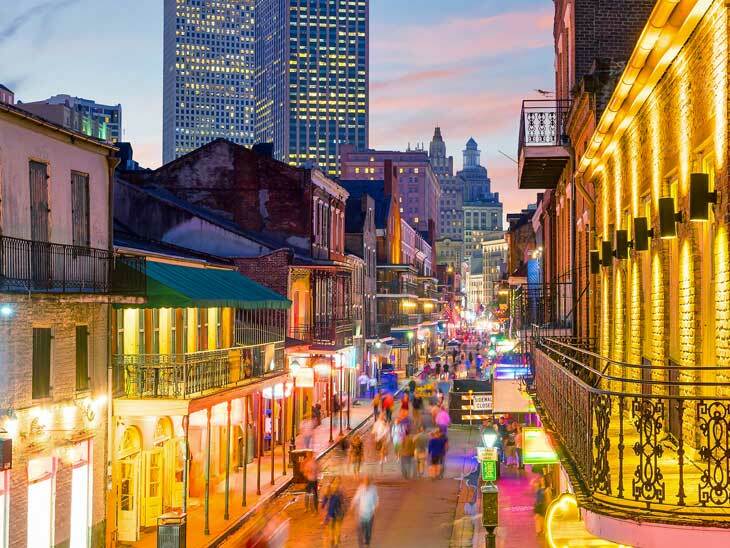 You will arrive New Orleans during the afternoon and you will have plenty of time to enjoy jazz music, spicy Cajun cuisine and everything New Orleans has to offer. Driving distance: approximately 230 km. 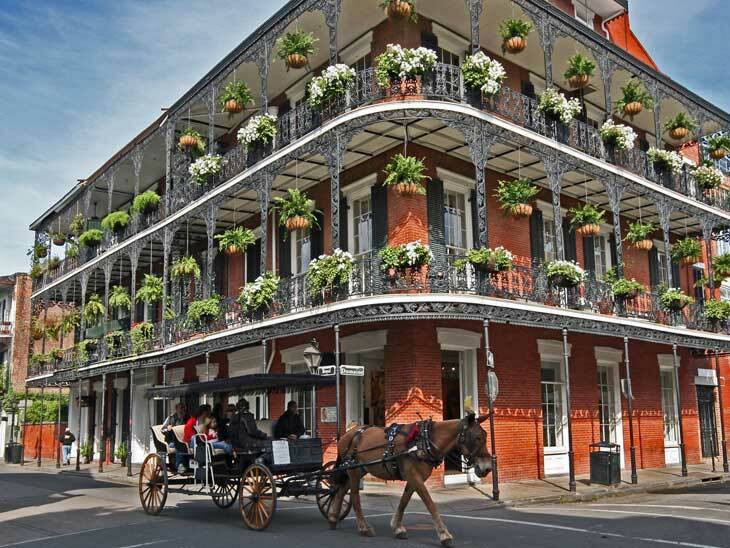 This day is about New Orleans or “The Big Easy” as the city also is called. Here you will experience French, Spanish and American culture in a beautiful and interesting mix. One of the best examples are probably the French Quarters. Do a sunset cruise on Mississippi on a paddle steamer and you have the recipe for an almost perfect day! Follow the might Mississippi River through Louisiana and arrive in the state capital Baton Rouge. During the drive you will be see plantations and the palace like buildings that used to belong to those who got rich from the generous harvests of indigo, cotton, sugar canes and tobacco. Overnight in Vicksburg. Driving distance: approximately 330 km. 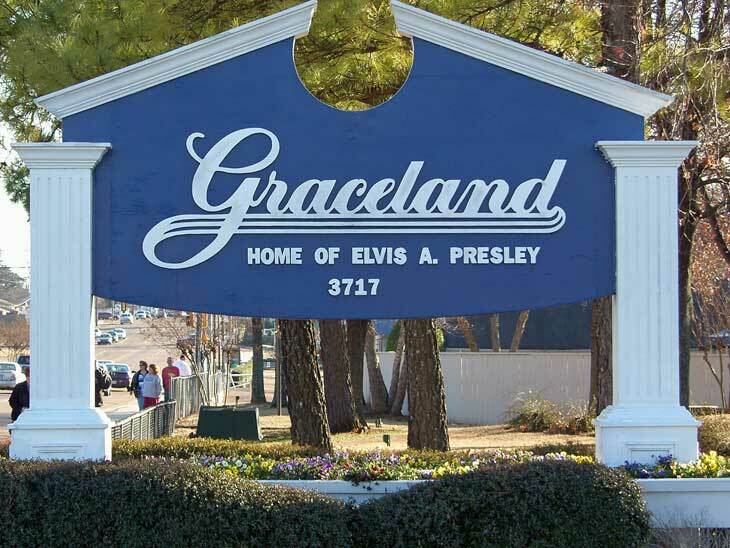 Start early and head to the home of Blues and the home town of Elvis Presley: Memphis! Elvis´ home Graceland is now a museum and is highly recommended for everyone, not only die-hard Elvis fans. You should also visit Sun Studio where Elvis did his first recordings and claims to be the birthplace of rock-n-roll. Johnny Cash and BB King has also recorded in Sun Studio. Another legend, Martin Luther King, was assassinated in his home in Memphis which is now a museum about civil rights. Driving distance: approximately 400 km. From one music capital to another. 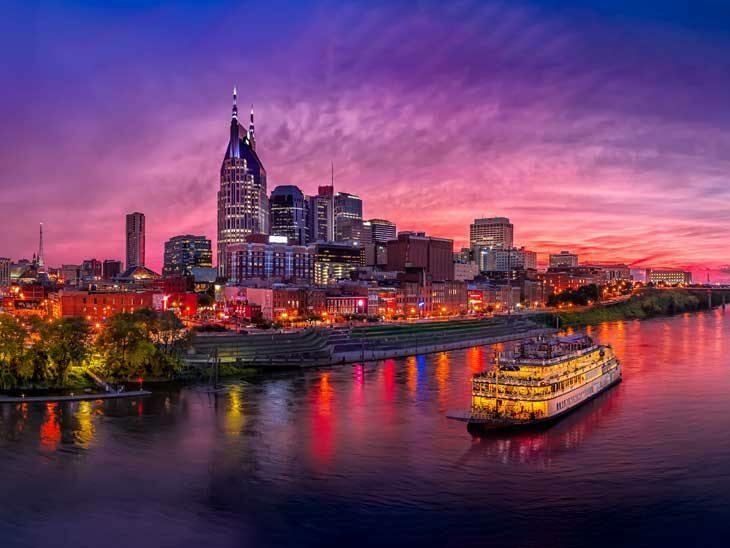 Today you head for the capital of Country: Nashville. Here you must visit the Grand Ole Opry where country stars as Patsy Cline, Garth Brooks, Dolly Parton and Carrie Underwood (to mention a few) have performed. Driving distance: approximately 340 km. 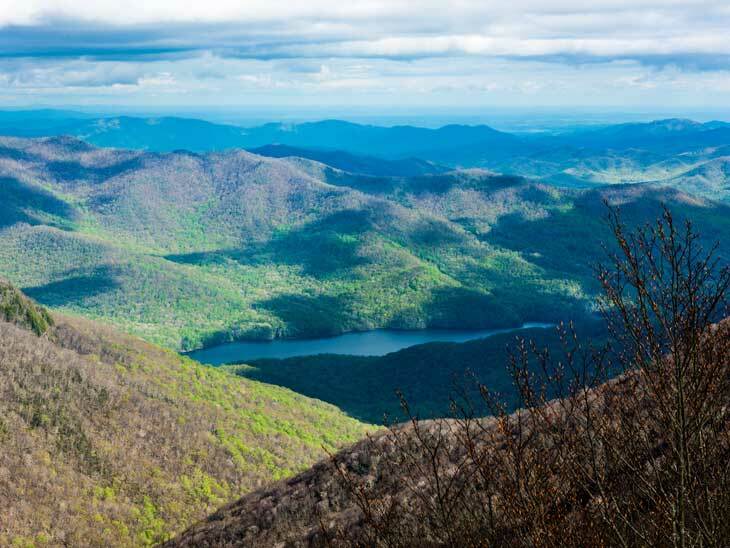 Today you will drive through The Great Smoky Mountains, which is what the Cherokee Indians named the mountains. The area is a national park with mountains, woods and streams. Visit one of the Cherokee villages to learn all about the tribe and how they used to and live today. Driving distance: approximately 420 km. You will drive through Ashville and the state capital Columbia. 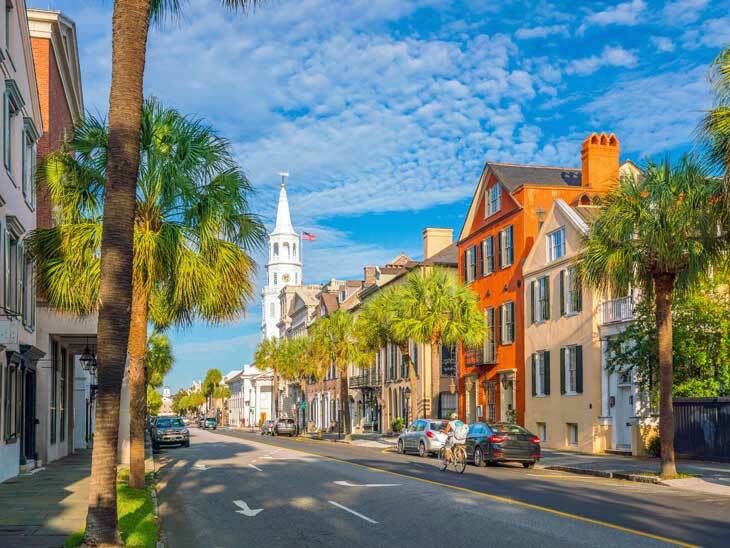 Just in time for sunset (if you started in the morning) you will arrive the fascinating city of Charleston with its narrow streets, horse carriages and palace-like houses. The relaxed atmosphere is an additional bonus. 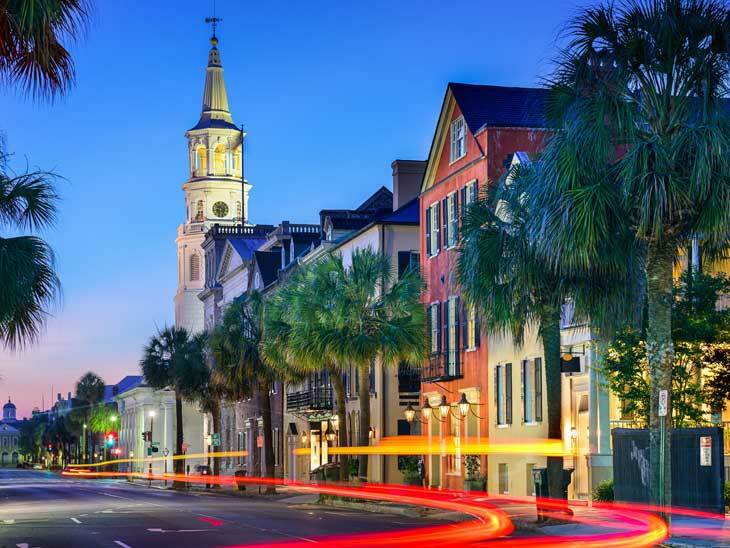 Enjoy the evening and get ready to explore more of Charleston the coming day. Driving distance: approximately 500 km. Take your time to explore everything the city has to offer! Visit Patriots´ Point Museum where you will get a thorough lesson in naval history and have the opportunity to see and visit several old battle ships. You should also visit Fort Sumter where the first shots in the American Civil War was fired. If you had enough of war and want something more peaceful, head to America´s first park: Magnolia Plantation and Gardens which was founded in 1676 by the Drayton family. The park opened to the public in 1870. This picturesque town is not to be missed. This is southern charm at its best and the host city for Olympic sailing in 1996. Consider lunch at The Pirate´s House which is in the city´s oldest building from 1753. Driving distance: approximately 170 km. Drive back to Atlanta for a last night in Georgia. Do the last shopping on the way or in Atlanta. 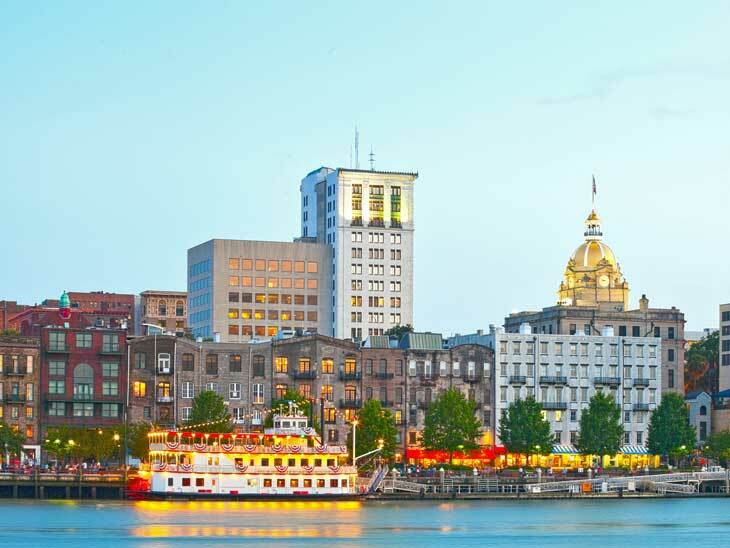 You could drop your rental car in Savannah, jump on a plane for new discoveries in USA. If you are heading home on an international flight, Atlanta is convenient because you have great connections to almost all parts of the world. If you ask us, this is a great road trip in the south of USA. All of us at thinkingoftravel.com would love to hear your best tips for a road trip in the southern states of USA!! Please share in the comment section below or via email, on Twitter, Facebook , Instagram or Google+.